The first thing I do when I wake up is some soft yoga. I love starting the day like that, opening the windows, breathing deeply and waking up the whole body. Sometimes it might mean overcoming some laziness, but it’s always worth it, I find it a very rewarding habit. Straight after, I make a fresh juice: this has been my morning routine for almost three years now. 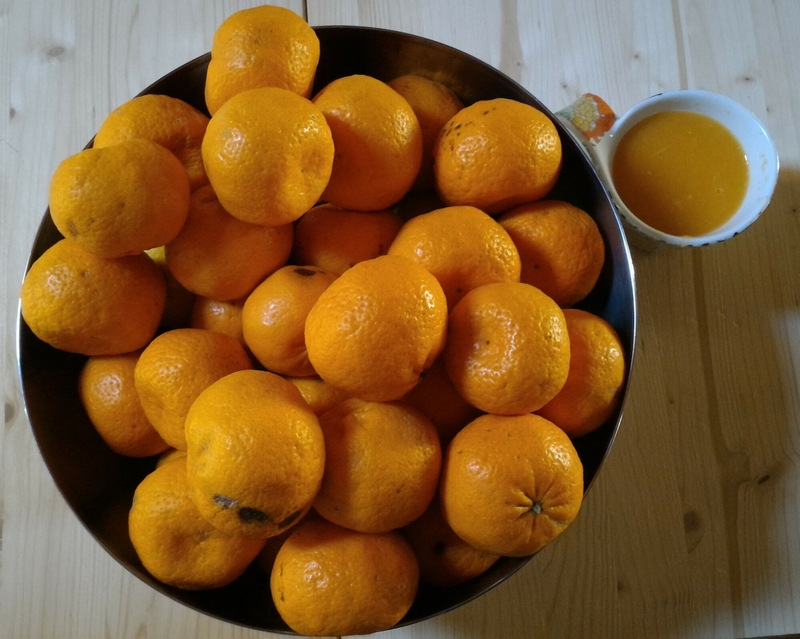 I use fruit according to the season, so today I made some clementine juice. Energizing and nutritious, just what I needed. Then, around 10.30, I get hungry. Usually, I like to eat some more fruits (in this season mainly apples or kiwi) and wait until lunch, or to snack on some dry fruit when I’m out (I always carry in my bag a little jar of almonds). Some days I need extra energy though, like today. 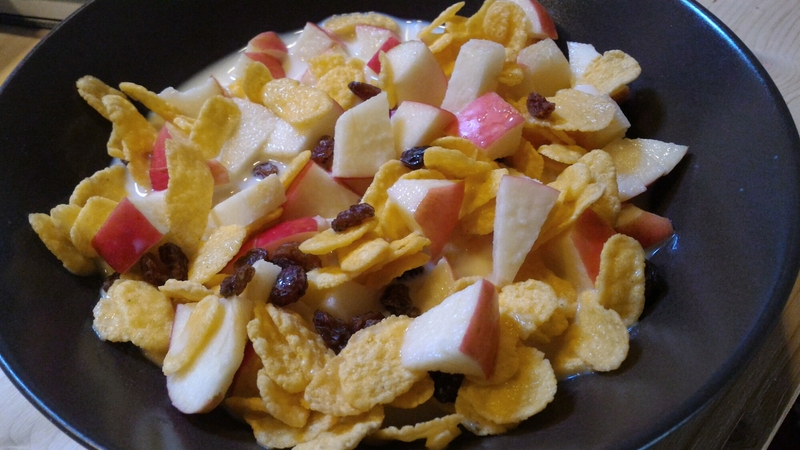 In these cases, my favorite things is a bowl with juicy apples, raisins and cornflakes with coconut milk. I love this combination. And, in an hour, I can go for my intense gym session!